Wah-t are you waiting for? An affordable pedal that delivers big tone. We love it! Beautiful, round tone. Seriously affordable. Electro-Harmonix has taken the innards of its interesting - yet slightly flawed in practicality - Crying Tone wah and put them inside a traditional pedal for a budget price. The build is indicative of the price tag here: it's lightweight (by design) - which means you'll want to velcro it down, but also has quite a 'ratchet-y' feeling in use. You'll get over that once you hear it though - it gives a rounder tone, that to our ears is smooth and round, with more synth-like qualities than more traditional pedals. 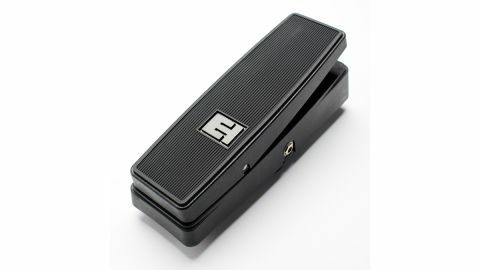 Definitely a wah for those on a budget, or for home/lighter live use.